The Indigenous People Of Biafra led by Mazi Nnamdi Kanu in Abakaliki province, Ebonyi State on Monday, 15th April, 2019 inaugurated Ndieke family unit 1, in Ndiagu Amagu community at Ikwo Local Government Area, Ebonyi central senatorial district. 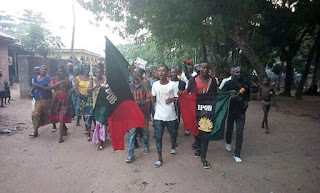 Addressing the people before the official inauguration, Mazi Ikechukwu Nwankwo the Ebonyi central senatorial district coordinator, expressed his joy over the willingness of the people to participate actively on the struggle to restore Biafra in state. He urged them to give their full support in any ways needed to make sure that Biafra is restored, because that's going to be the only remedy to the numerous challenges and difficulties "we're going through in this contraption", he further stated that the politicians are not helping matters and they will not do so as long as Nigeria is concerned; "they're all selfish and greedy, our only hope depends on Biafra". 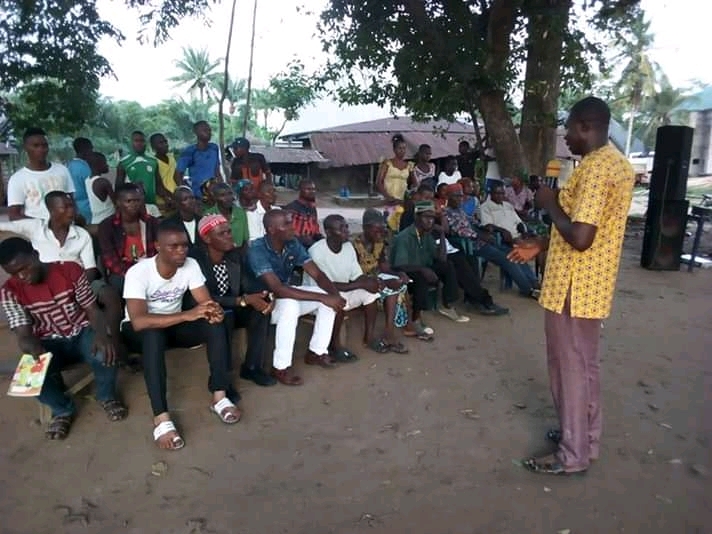 On the other hand, the Ikwo local government area IPOB coordinator, Mazi Nwikpuka Boniface appreciated the senatorial district coordinator, the Ebonyi state coordinator Mazi Igwe Ogbonnaya and others who has been working tirelessly to see Biafra is restored, he assured them that Ikwo entirely stand with Biafra and will continue to establish more families to further propagate the gospel to the reach of all and sundry. 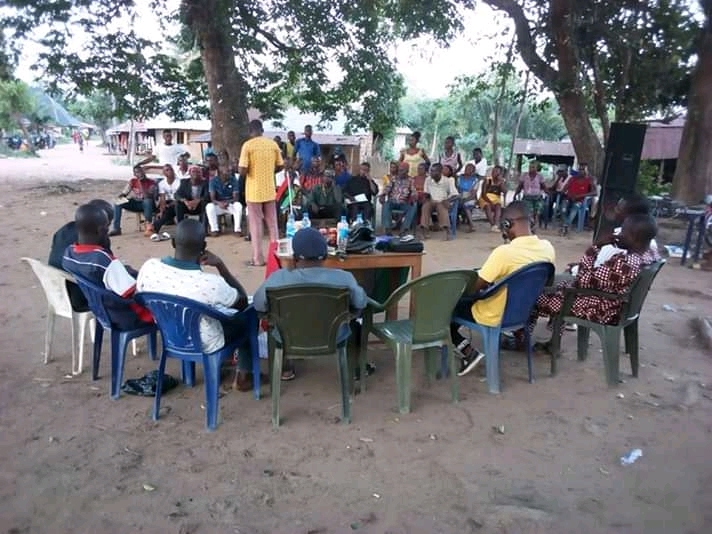 The official inauguration was done by Mazi Nwikpuka Boniface the Ikwo LGA coordinator and was observed by Mazi Ikechukwu Nwankwo the senatorial district coordinator. 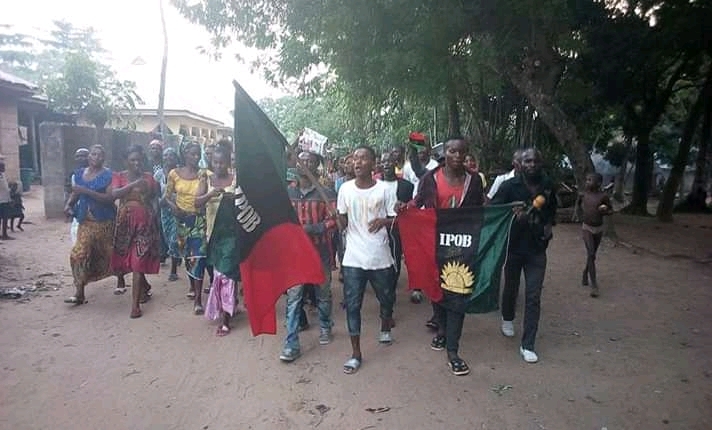 Our correspondent, Nwadike Kelvin who was there for the media, reported that many from various villages in Ndiagu Amagu community came out en masse to identify with IPOB during the inauguration. Speaking shortly after the inauguration, the newly inaugurated family unit Nwovu Sunday, expressed his joy over the level of cooperation from his people, he applauded their efforts and promised to work hard in spreading the gospel of Biafra restoration, he prayed for the safety of those who are working to get Biafra restored, he prayed for wisdom and divine protection. 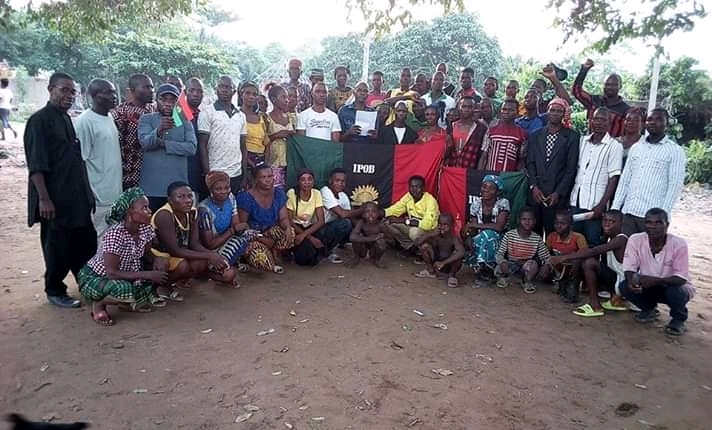 The unit took to the streets and market places within their community after the inauguration for evangelism, to the people on the need to identify with IPOB, the moving train.